Making a travel to the region of water and rivers seems to spur inspiration of many tourists as well as bring them brand-new experience. 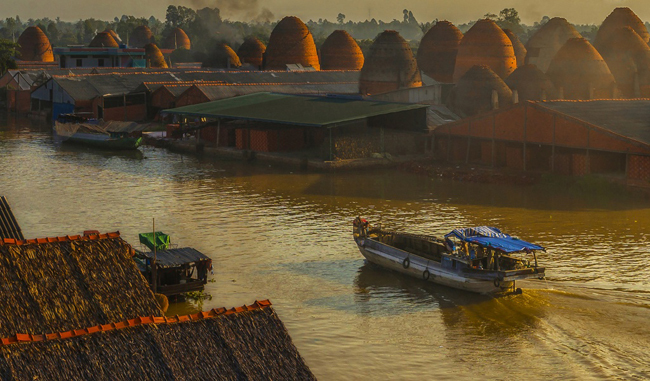 Standing out as the country with lots of pastoral landscapes and abundant canals, Vietnam does satisfy visitors with a wide list of places to discover that will suit their needs and favorite. If you want to enjoy a getaway away from the noise and chaos of the city, then Vinh Long should be your first choice. 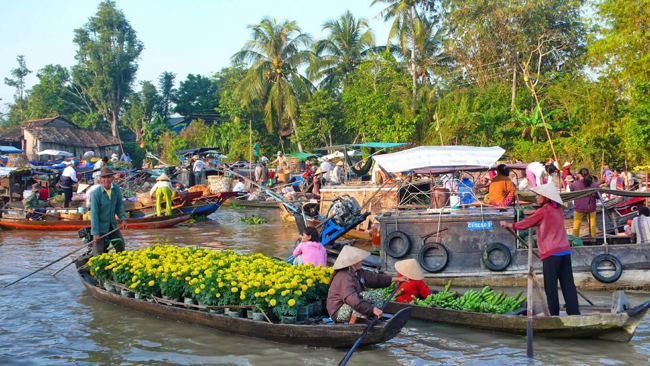 Let’s take a glimpse of the region’s peaceful scenery and simple lifestyle at the river through top things to do in Vinh Long underneath! The province has 2 distinct (rainy and dry) seasons. While the dry season starts from December and ends in April, the rainy season begins from May and ends in November. 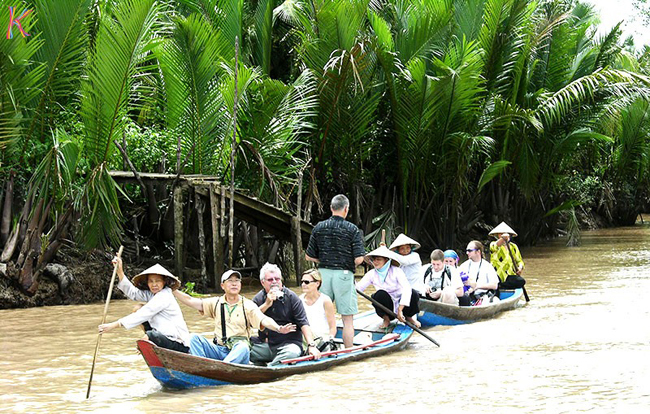 A trip to Vinh Long can be made all year round as the annual average temperature is comfortable and pleasant with 27°C. Before departure, don’t forget to bring along a hat, camera, insect repellant and sunscreen. The South West of Vietnam is famous for fruit gardens that are lush and laden with fruits every year. That’s why a trip to Vinh Long is never completed without an arrival to orchards. These gardens allure tourists by their abundance and lushness in all seasons. Therefore, whenever you have a vacation in the region, your taste is still tickled with many types of sweet fruits. 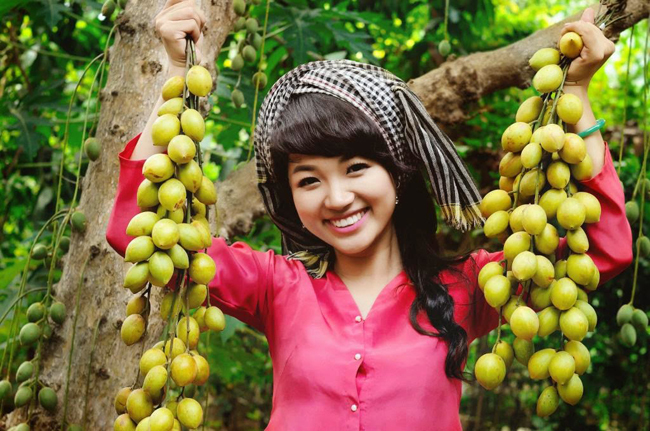 Moreover, Vinh Long is also the hometown of the reputable Nam Roi grapefruits (bưởi Năm Roi) and Binh Hoa Phuoc rambutan (chôm chôm Bình Hòa Phước). Those who have ever set foot in the region surely might not forget the fresh and delicious taste of grapefruits as well as the image of red ripe bunches of rambutan. Though you can enjoy fruits in any seasons in the year, entering the province in the summer is the most favorable choice. Vinh Long ceramics win an award for not only their fine shapes, but also their special color which makes them totally different from other potteries. That’s why it is not hard to understand why Vinh Long ceramics are easily found in many domestic homes and even overseas markets. Their impression can be clearly seen through different types of ceramics, like pots, jars, vases, paintings, bas-relief, and statues. The process of making potteries is considered the most interesting thing for every visitor to enhance their knowledge. To increase their income and develop their passion for the craft, craftsmen are likely to combine both pottery and bricks for their products. Along with watching ceramic-making process, tourists may also have a chance to practice on their own under the help and guide of artisans. It is surely a memorable experience! Sometimes, a good way to mingle with the locals’ lifestyle is to going a stroll around a market in the village of Vinh Long. It is easy to recognize that fresh goods are laid on mats or in plastic buckets. In general, fruits are on display at 1/5 Street while vegetables can be found at Nguyen Cong Tru Street. Sellers protect themselves from the sun by using umbrellas, long-sleeved shirts and conical hats. Although the weather is hot and the market is full of people, they still greet and invite you to buy something with big smile on faces. In addition, street foods may be easily realized at Hung Vuong and Nguyen Cong Tru Street. You can freely savor a hot bowl of noodles or a loaf of bread to satisfy your hunger after an hour of shopping. 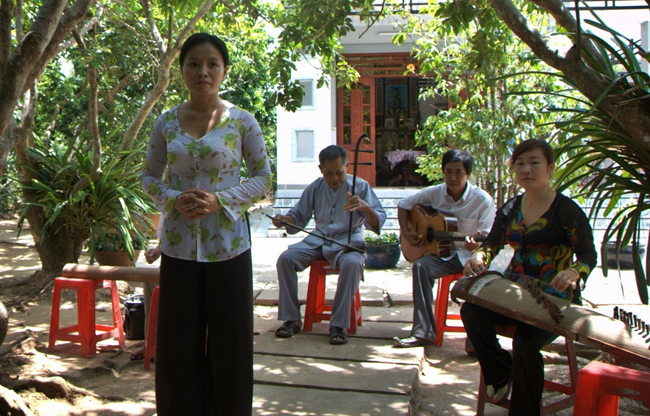 Don Ca Tai Tu is indeed a typical and traditional type of music in the Southern Vietnam in general as well as in Vinh Long Province in particular. Moreover, it has also been recognized as UNESCO Intangible Cultural Heritage. The show has been performed in big events, like death anniversaries, birthday celebrations, weddings, and public gatherings. At that time, musicians will play traditional instruments with the aim of accompanying singers at performing different tones of emotion in front of audiences. 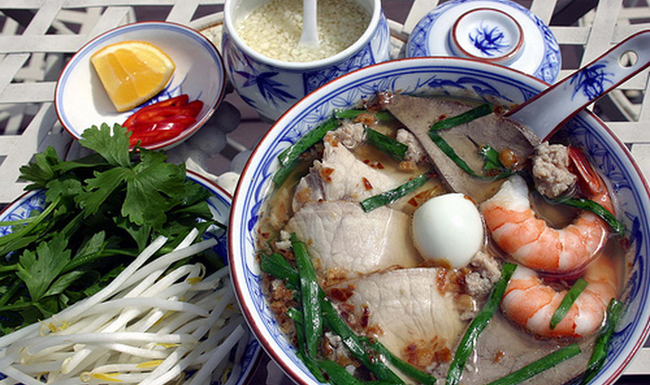 If “Pho” is the hottest and the most favorite dish in Saigon, then Hu Tieu (or noodle) is the king of the Mekong Delta. The dish was used as an integral part of breakfast to energize farmers in the past. Today, Hu Tieu is cooked with different versions, but still remains its own flavor. Don’t miss an opportunity to enjoy a bowl of Hu Tieu Hoanh Thanh at Hu Tieu Hong Mai (No 98, 1/5 Street, Vinh Long Province). Its deliciousness and cheap price will leave a strong impression on you for certain. How to explore Nha Trang one day by motorbike? Spectacular Sceneries in Kong: Skull Island | Where & How to travel? Glow Skybar Saigon - What's funny? When's Happy Hour?